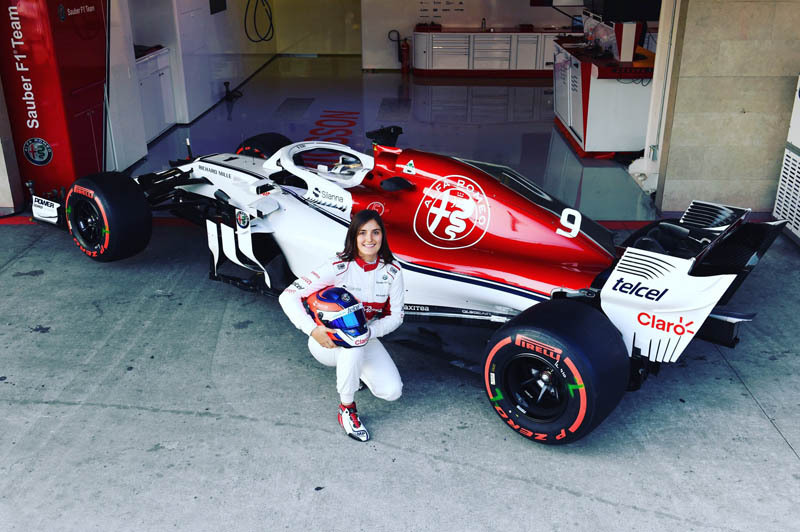 Tatiana Calderon has successfully concluded a promotional event, which saw her completing a total of 23 laps in the Sauber C37 at the Autodromo Hermanos Rodriguez. The Colombian driver got behind the wheel of a Formula One car for the first time in her career yesterday, and soon adapted to the demands of driving at the highest level in motorsport. According to the team, she demonstrated her focus and skills, impressing the team with her professionalism and dedication. "Tatiana drove a Formula One car for the first time today and did a very good job," said Xevi Pujolar, Head of Track Engineering. "We are happy to see her perform so well, and once again were impressed by her dedication and work ethic. "This event marks a positive step for our sport, and we look forward to seeing Tatiana continue to make progress." "Driving the Sauber C37 today was an incredible experience," added Calderon. "The power, braking and grip of this car are unbelievable, and I felt very comfortable on track. "After a few laps, you start getting used to the speed, and I had lots of fun. 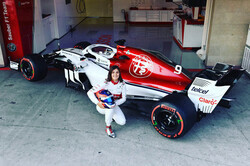 "I want to thank the Alfa Romeo Sauber F1 Team, Excuderia Telmex, Telcel, Infinitum and Claro for giving me this opportunity today, and trusting me to do the job. This is a day I will remember forever."